Frank Lampard admits he was proud to receive support from all four corners of Stamford Bridge during Derby's 3-2 defeat to Chelsea in the fourth round of the Carabao Cup. 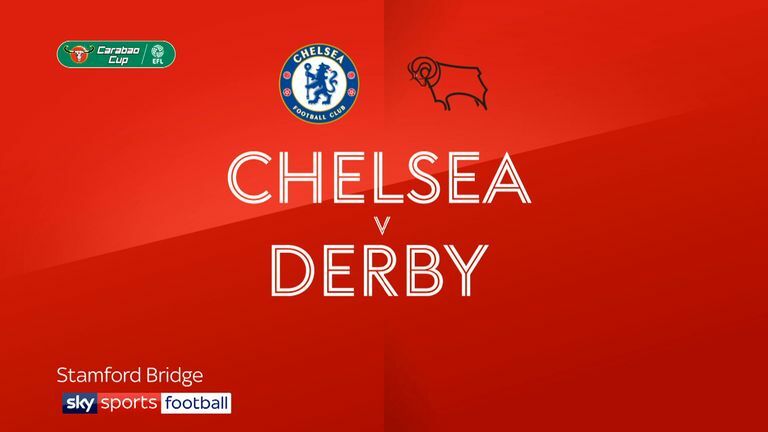 Lampard made his first return as a manager to the club where he played for 13 years and his Derby side put up a fantastic battle before eventually falling to defeat. The Rams twice put the ball past their own goalkeeper in the first half, first through Chelsea loanee Fikayo Tomori and then Richard Keogh, but fought back twice with goals from Jack Marriott and Martyn Waghorn. Cesc Fabregas eventually scored the winner shortly before the break. 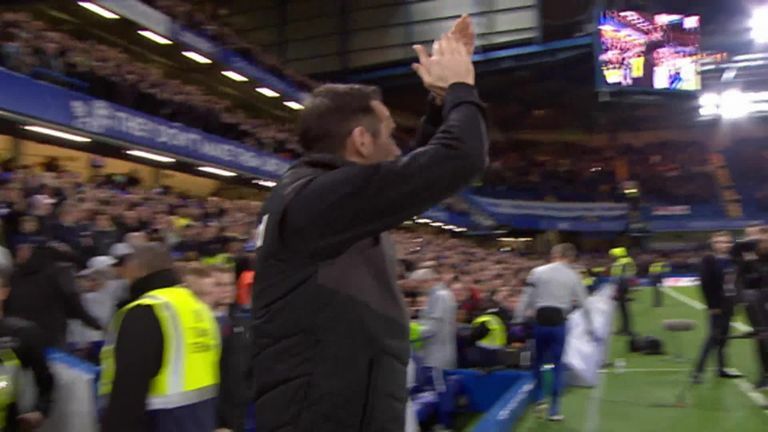 Lampard received a rapturous ovation before, during and after the game, and said he felt honoured to gain such a reception. "It happened through the game and at the end of the game and I really appreciated it," said the club's record goalscorer, who left when his contract expired in June 2014 without having a proper chance to say goodbye. "To be able to say thank you and to [get that reaction] as the opposition manager isn't normal. "I did leave out the back door here and that was disappointing. But I walked in through the front door tonight, and thanked the fans for their support for 13 years. "Then I walked over to the Derby fans who have travelled here in numbers. I was a lucky man to get it from both ends." Lampard was also delighted with the way his side performed at Stamford Bridge as they went toe to toe with Chelsea for large portions of the game, arguably creating the better chances as well. "We really contributed to the night," he said. "This is a Chelsea team that were strong in personnel and of course they were going to have the ball and control elements of the game, but if you look at chances created we had more. "We gifted them two goals but then we earned ours, and then it was a foul for the third goal. But the pride of the evening overshadows that for me. Now if we don't carry that performance into the Championship then it's our fault." Lampard also refused to blame either of his centre-back pair who netted the unfortunate own goals in the first half, but did admit he was surprised that Fabregas' goal was allowed to stand as he thought there was a foul in the build-up. "Tomori and Keogh have been outstanding for us all season, so I've got no qualms with them because mistakes happen," he said. "Two freak ones don't normally but we showed our character and came back to 2-2. "Then the third goal went in which was a bit demoralising for the players, but in the second half we didn't stop running and put a shift in to stop a very good Chelsea team. It's disappointing but I think we deserved a draw. "The third goal was a foul. The whole stadium saw that. I turned round thinking we'd got the foul, then looked back and they were in our box. "VAR should clear up the ones that go slightly wrong. It didn't tonight." 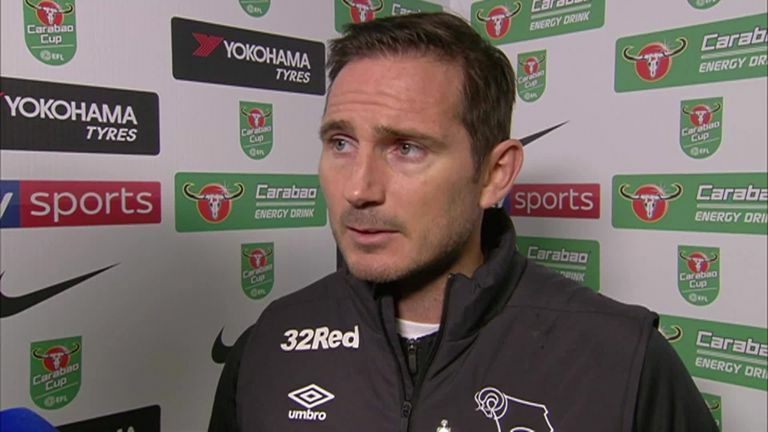 For now it's back to the Sky Bet Championship, but Lampard feels that if they can put in more performances like that then they'll have a real shot at promotion. "There will be recovery for two days and then we get ready for Birmingham," he said. "We've shown what we can do in recent weeks and there are now standards there for us to keep. "The Championship is hard and you don't get anything given to you, but if we play like that then we'll win games."